A well proportioned light Oak library writing, having a moulded top with green tooled and gilt inset leather. With 2 drawers of which retain the original knob handles. 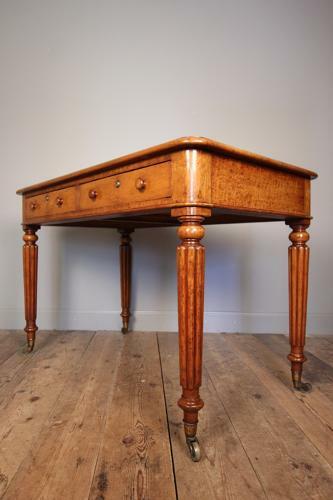 The whole raised on tapering reeded legs with high quality and original Cope & Collinson casters. Lovely original condition throughout. English, Circa 1850.